Did you know 95% of hypothyroid patients also have Hashimoto’s? I often get messages from readers who say that they have hypothyroidism but not Hashimoto’s. However, often they have BOTH. Hypothyroidism, by definition, is a clinical state. It is a state of low levels of thyroid hormone in the body. The low levels of thyroid hormone can occur as a result of a variety of different reasons, such as iodine deficiency, surgical removal of the thyroid, excess use of thyroid suppressing medications, pituitary suppression, or damage to the thyroid (physical or disease induced). Most cases of hypothyroidism in the United States, Canada, Europe, and in most countries that add iodine to their salt supply are caused by Hashimoto’s, an autoimmune condition. Depending on the source, estimates are that between 90-97% of those with hypothyroidism in the United States have Hashimoto’s. Unfortunately, many people think that if they had Hashimoto’s, their doctors would have certainly told them. But that’s not usually the case. Many doctors simply don’t test their patients for Hashimoto’s. That’s because the conventional medical model treats autoimmune thyroid disorders in the same way as they would treat someone with a nutrient deficiency induced thyroid disorder, a congenital defect of the thyroid gland, someone who was born without a thyroid, or someone who had their thyroid removed or treated with radioactive iodine… with synthetic thyroid hormones. I found a useful tool called Google Trends that allows you to looks at the search trends in Google searches for various topics. Below you will find a chart showing searches in RED for HYPOTHYROIDISM and searches in BLUE for HASHIMOTO’S. As you can see the number of searches for HYPOTHYROIDISM clearly surpasses those for HASHIMOTO’S. But they’re not told that they have an autoimmune condition. Thus, they never think to ask the question: “Why is my immune system attacking my thyroid?” Therefore, they never know to address the immune system imbalance and never get an opportunity to prevent or reverse the progression of the disease. If you’ve been diagnosed with hypothyroidism, you should also be tested for Hashimoto’s. Often, a person will be diagnosed with Hashimoto’s after already being diagnosed with hypothyroidism. Therefore, she will have both Hashimoto’s and hypothyroidism. But it’s also possible to have Hashimoto’s and not yet have hypothyroidism. Other times I’ll get messages from readers with lots of Hashimoto’s related symptoms who say they’ve repeatedly been tested for thyroid issues, but all of their tests have come out “fine.” That’s because they have never been given the specific tests for Hashimoto’s. Studies have found that thyroid antibodies indicative of Hashimoto’s can be present for as long as a decade before the person develops impaired thyroid function. I suspect that they can be elevated for much longer, and it may take a person many decades to learn that he/she has hypothyroidism due to inadequate use of the TSH screening test. Elevated thyroid antibodies have been connected with feelings of distress, anxiety, and depression in those with Hashimoto’s. Also, the higher the antibodies, the more likely you are to experience symptoms of hyperthyroidism (when the thyroid cells are broken down, and stored hormone is dumped into the bloodstream), as well as hypothyroidism (when we don’t have enough thyroid hormone). Your TSH screening tests may still fall into the “normal range.” Thus, in the early stages of Hashimoto’s, the person may still be able to make enough thyroid hormone and will have “normal” thyroid function. The higher the thyroid antibodies, the higher your likelihood of developing overt hypothyroidism and possibly additional autoimmune conditions. Make sure to read here if you swing back and forth from hypothyroidism to hyperthyroidism. The autoimmune attack on the thyroid develops decades before a person becomes hypothyroid. Catching the condition early allows us to prevent progression and needless suffering. The person may suffer from symptoms of Hashimoto’s for years before they are finally diagnosed with hypothyroidism and placed on medications. Recently two women in my family were diagnosed with Hashimoto’s. I love and admire them both very much. Both are in their sixties and struggled with symptoms like anxiety, fatigue, cold intolerance, weight fluctuations, and brain fog for many decades. Both women requested the correct tests at my insistence, and sure enough, they both have Hashimoto’s. I’m glad that we finally have an answer to their mysterious symptoms, and we can now get them on the right path to healing so that we can prevent the progression of their conditions. I am a proponent of not just using medications for hypothyroidism caused by Hashimoto’s but also of rebalancing the immune system to prevent further attack on the thyroid. You can read more in my post on various opportunities for interventions for Hashimoto’s and hypothyroidism. Ideally, a person would get diagnosed with Hashimoto’s before she is diagnosed with hypothyroidism. That way she would know that she is at risk for hypothyroidism and would have an opportunity to identify the underlying reasons for her immune system’s attack on the thyroid. So how do you diagnose Hashimoto’s? In most cases of Hashimoto’s thyroiditis, blood tests will reveal one or two types of anti-thyroid antibodies. Thyroid peroxidase antibody (TPOAb) is the most common antibody present (in up to 95% of those with Hashimoto’s), and often antibodies against thyroglobulin (TGAb) are found as well (around 80%). These antibodies may appear decades before a change in TSH is detected, thus allowing people to make an intervention before the thyroid gland gets damaged to a point where it will no longer be able to make enough thyroid hormone. While it’s possible to regenerate thyroid tissue, and some people can come off medications, (some do it faster than others, and I’m currently studying ways to accelerate thyroid tissue regeneration), it’s much easier to prevent the destruction of thyroid tissue than to regenerate it. An ounce of prevention is worth a pound of cure. Thus, thyroid antibody screening is always crucial in suspected thyroid disease. At-risk populations: Hashimoto’s runs in families and is 5-8 times more common in women. Therefore I would urge all of you with Hashimoto’s and/or hypothyroidism to encourage your daughters, sisters, mothers, aunts, and grandmothers to get tested, especially if they are in the age range of puberty, pregnancy, and perimenopause—the three most common times for thyroid hormone abnormalities to surface. Also, just because the condition is more common in women does not mean that men are not affected. I would urge you to have your male family members tested as well. Here is a comprehensive list of the top 6 thyroid tests take to your doctor and can ask for tests for Hashimoto’s and hypothyroidism. Be sure to request a copy of your thyroid labs so that you can see them yourself and ensure that they are interpreted correctly. TSH – This is a pituitary hormone that responds to low/high amounts of circulating thyroid hormone. In advanced cases of Hashimoto’s and primary hypothyroidism, this lab test will be elevated, (read the post about interpreting the TSH test). In the case of Graves’ disease, the TSH will be low. People with Hashimoto’s and central hypothyroidism may have a normal reading on this test. Thyroid peroxidase antibodies (TPO Antibodies) and Thyroglobulin Antibodies (TG Antibodies) – Most people with Hashimoto’s will have an elevation of one or both of these antibodies. These antibodies are often elevated for decades before a change in TSH is seen. People with Graves’ disease and thyroid cancer may also have an elevation in thyroid antibodies including TPO & TG, as well as TSH receptor antibodies. Thyroid Ultrasound – A small percentage of people may have Hashimoto’s, but may not have thyroid antibodies detectable in the blood. Doing a thyroid ultrasound will help your physician determine a diagnosis. Free T3 & Free T4 – These tests measure the levels of active thyroid hormone circulating in the body. When these levels are low, but your TSH tests in the normal range, this may lead your physician to suspect a rare type of hypothyroidism, known as central hypothyroidism. If your doctor will not order these tests for you, you can pay out of pocket and order them yourself thought a company like Ulta Lab Tests. PS. You can also download a free Thyroid Diet Guide, 10 Thyroid friendly recipes, and the Nutrient Depletions and Digestion chapter for free by signing up for my weekly newsletter. You will also receive occasional updates about new research, resources, giveaways and helpful information. Amber- I strongly encourage you to keep looking until you find a skilled practitioner who can help you with Hashimoto’s, they are out there. Here is an article I wrote about my challenges finding Dr. Right. I’m being treated for hypothyroidism with brand synthroid and generic cytomel. I felt amazing at first and now I feel awful. I’ve had my antibodies checked and they were only at a 10. A few years later they haven’t really changed, now an 11. The range is under 30 for normal with this lab. My thyroid levels are the best they’ve ever been, exempt just TSH is 1.3 and I don’t remember the others but they were very good. I’ve had my iron, D, b12 checked etc and nothing is exceptionally low. I take vitamin d (with fat) and iron (with vit c – empty stomach) to boost my levels a little. I still don’t feel great. Oddly my 24 hour urine was really high for iodine which is so weird. I don’t take Iodine supplements or consume excessive in my diet. I don’t get it. Doc is retesting. Also doing a hormone saliva test. Nothing indicates hashimotos. I feel like there’s nothing out there for people like me. It’s all about hashimotos. Jennifer – thank you for reaching out and sharing your journey. I understand how frustrating this can be. Most thyroid conditions result from the immune system attacking the thyroid because the immune system is out of balance. Even when the thyroid is taken out surgically or treated with radioactive iodine the autoimmunity still persists in most cases. Many people will have their thyroids removed, and will develop new autoimmune disorders such as Lupus, Rheumatoid arthritis, etc. The immune system just finds a different target. So glad I came across this article! My son has Hashimoto’s and we keep a close eye on his thyroid panel. Your article mentions one possible scenario where the TSH is normal but the fT4 and fT3 are low. Well in my son’s case, his TSH is on the high side but his fT4 and fT3 are normal. What do you make of this? I don’t believe these results suggest is is hypo. From my understanding on what my doctor explained to me is that the TSH will be high because your thyroid is unable to turn it into T3 and T4 hence the hypo part. I have an ultrasound every year and every year the size of my nodules increases. I’ve managed to “manage” most of my Hashi symptoms with dietary changes ( due to MANY food sensitivities) and supplements. I’ve been to 3 different Drs. who insisted the TSH was good enough so I went out on my own and ordered tests online. I gave up on Drs. due to lack of insurance and ignorance. So far I’m holding steady….but am concerned about the nodules. JoAnne- I highly recommend that you work with a functional medicine clinician. It’s a whole medical specialty dedicated to finding and treating underlying causes and prevention of serious chronic disease rather than disease symptoms. How do you order your own lab tests online? Pat- I’ve negotiated better pricing with Direct labs for the Facebook group Hashimoto’s 411. You will get them here cheaper than going through most other places. If you would like to order your own labs, you can use the link below. Also, much of the information required to get your health back is covered in my book, Hashimoto’s: The Root Cause. You might be interested in checking it out. Has it been determined whether the nodules are “hot” or ” cold” ? This distinction is very important treatment wise. I was diagnosed with hypothyroidism 7 years after my Daughter was diagnosed,, 8 years ago I became an insomniac, lost 30 pounds had palpitations with a heart rate of 140 and took myself off of thyroid medications. I have seen 4 endo. MD’s and I have 4 tumors in my thyoid with No anawers. My tsh is the same as when i WAS ON ENDO MEDICATION. Barbara- Did you know that if you live in the United States, the UK, Australia, Europe and most developed countries that add iodine to the salt supply and take thyroid medications, there’s a higher probability that you do have Hashimoto’s? I spoke to my endo’s Nurse Practitioner this week, and she said that once antibodies are tested, they are never tested again. I have been diagnosed, so there is no reason to test again. I “argued” that knowing the levels can dictate gut health, and if I am on the right track in making corrections to my overall health . She responded that as long as my TSH levels are in range, I am being treated properly. I have a good relationship with my PCP, so I will be asking him for the script to get the antibodies tested again. I was assuming all these years that the antibodies were being tested. We know what “assume” means. Donna- I know how frustrating it can be. I strongly encourage you to keep looking until you find a skilled practitioner who can help you with Hashimoto’s, they are out there. Here is an article I wrote about my challenges finding Dr. Right. Dr Fabello-Gamiao in Livonia is great! Jennifer- Thank you so much for sharing! Thyroid tissue can regenerate, but the rate at which it does is not always predictable. Thus, some are able to stop the autoimmune attack on their thyroid and regain normal thyroid function. Others can reduce the dose of medications, and others will need to stay on the medications indefinitely. I’m currently working on some protocols to help with tissue regeneration. Jo- I’m sorry to hear about everything you’re going though. I hope that this page will help you and that you get the answers you’re looking for from your doc. If not, don’t be afraid to get a second opinion. I’m a fan of functional medicine doctors. Shelley- Do you have Hashimoto’s or a thyroid condition? My daughter was diagnosed with Hashimoto’s Encephalopathy 10 months ago. She is 9 years old. This has been and continues to be the absolute worst time of our lives! She was hospitalized for 107 days and has suffered through so many seizures, (5 of those were status, of which she had to be intubated) She spent 57 days in day rehab and is home now but continues outpatient therapy. Steroid therapy did not work for her, plasmapheresis did not work for her, but she did seem to improve after several rounds of Rituxamab infusions as well as a couple of Cytoxan infusions (chemotherapy). From what we were told, it is very rare for children to develop Hashimoto’s Encephalopathy. I’m not sure what the future holds for her and that is a very frightening notion. Kim- I am so sorry to hear that. Thank you so much for sharing. I look forward to hearing her progress on this page. That is another thing that drives me crazy, have anxiety, and heart palpitations is thyroid related and just because you are being treated that doesn’t mean that they stop, I am also in menopause and that along with the Hashi’s/thyroid issue is enough to make a person run naked down the street screaming–rubber room material. I feel so bad for you Jo because I know what you are saying. I also want to say I want to send lost of positive energy your way. I often feel as you do and have no had a heart attach or seizures. There are just so many more bad days then there are good ones. Take care and I hope that you do find many more wells days between the bad ones. April- Thank you so much for having such a positive attitude! Anxiety symptoms are very common in people with thyroid disorders. Nicole- When I was first diagnosed with Hashimoto’s, I felt so alone. My doctor didn’t think it was a big deal, and none of my friends or co-workers had it. It wasn’t until I started to research online that I found others who were going through the same thing. I asked my doctor to test me for hypothyroidism and he gave me the tenth degree. Wanted to know why I wanted the test. I am 44, overweight and can’t get the weight off. I also have just about every symptom there is for it. Finally he ordered the test. I did not like him much. The test came out “fine”. But now I won’t go back and get tested for Hashimoto’s from him anyway. Sorry to hear that Marlene- you deserve better. I’m glad that you’ve chosen to seek out a practitioner that will be more understanding. Marlene, I too got attitude when I asked for a thyroid test. I KNEW I had it and the dr wanted to convince me it was blood sugar and depression… I strongly told him I wanted a thyroid blood test. What do you know.. I’m hypo. It amazes me how ignorant and rude some drs can be! Jessica- I am so sorry to hear that. I strongly encourage you to keep looking until you find a skilled practitioner who can help you with Hashimoto’s, they are out there. Here is an article I wrote about my challenges finding Dr. Right. Jessica, FIRE your doctor and write him a letter telling him why. I have had that experience as well and while it is horrible trying to find a doctor when you are feeling good, trying to find one when you are in the throws of a flare is daunting. Doctors need to be reminded that they are indeed working for the patient. They are not your GOD, your father, or your dictator. FInd a Endo Dr. who specializes in Thyroid, or when you are scheduling for a new doctor ask the question on the phone…..what does this doctor know about thyroid conditions, and autoimmune disorders. If you have one autoimmune disorder you have many, Good luck to you I can totally relate to the drs evil eye, and what even more maddening is that who knows your body better then you. You have the right to copies of any bloodwork or test results you have done. I get copies of everything and keep a folder. I have Hashimoto’s and hypothyroidism, I also have Lupus and Fibromyalgia, when autoimmune diseases start it seems they run right over us!!! My daughter was just diagnosed with Hashimoto’s after I was. Her thyroid is 4.5 and her doctor said that she’s fine and sent her home. I’m having a hard time worth this. Shouldn’t she be doing something so she doesn’t end up like me? Can a person who had RAI for hyperthyroidism develop Hashimotos? Hi Bea- Most thyroid conditions result from the immune system attacking the thyroid because the immune system is out of balance. Even when the thyroid is taken out surgically or treated with radioactive iodine the autoimmunity still persists in most cases. Many people will have their thyroids removed, and will develop new autoimmune disorders such as Lupus, Rheumatoid arthritis, etc. The immune system just finds a different target 🙁 We need to rebalance the immune system to prevent this (sometimes the autoimmunity can be reversed as well! The gut determines your immune system. With the exception of discussing proper thyroid medication dosing, the majority of my website and my book focuses on balancing the immune system. The info I present is based on my own research in journey for overcoming my autoimmune thyroid condition. Here’s the info on the book http://www.thyroidpharmacist.com/book. Hope it helps! Ok I had a ultrasound and biopsy done last week was told that it showed no signs of hashimoto have a lymph node that was biopsied which had signs of it was fighting off an infections them started being questioned about auto immune disorders. Such as lupus RA etc. I was told my daughter was going to get hashis also after an u.s. but never was told to do anything to postpone or prevent or heal the thyroid????? I have an awesome Dr. He diagnosed me on my second visit with him after blood work and urin test on first visit. This was two weeks later ,3 yrs. ago. He stays on top of my blood work every month. I too had never heard of Hashimoto disease. Nita- Thyroid tissue can regenerate, but the rate at which it does is not always predictable. Thus, some are able to stop the autoimmune attack on their thyroid and regain normal thyroid function. Others can reduce the dose of medications, and others will need to stay on the medications indefinitely. I’m currently working on some protocols to help with tissue regeneration. I have Hashimoto and 6 yrs ago waw diagnosed with sev err e R.A. and Lupus. I have been taking steroids methotrexate as well as infusions to stop the attack. I am no better than when I started. Now I am 100.lbs overweight and can’t lose a pound. They have never done anything besides L tyroxine for my hashsmotos. Can you help? Sandra- When it comes to weight gain these are a couple of things to think about. Sandra, Google leaky gut and auto immune disorders. Steroids, which i was on for 5 years, feed the Candida which is the source of the leaky gut. A good Probiotic, which you can order from my website, is key to healing the leaky gut, inflammation and resolving your issues with the auto immune disorders. I had thyroid cancer and hasimotos both in 2005 and I wonder if after thyroidectomy and radioactive iodine if the hashimoto goes away or will I always have it ? Dora- Most thyroid conditions result from the immune system attacking the thyroid because the immune system is out of balance. Even when the thyroid is taken out surgically, is ‘dead’, or treated with radioactive iodine the autoimmunity still persists in most cases. Many people will have their thyroids removed, and will develop new autoimmune disorders such as Lupus, Rheumatoid arthritis, etc. The immune system just finds a different target. We need to re-balance the immune system to prevent this (sometimes the autoimmunity can be reversed as well). The gut determines your immune system. With the exception of discussing proper thyroid medication dosing, the majority of my website and my book focuses on balancing the immune system. The info I present is based on my own research and journey for overcoming my autoimmune thyroid condition. I am so thankful for the information you put out for all of us! I would have been one of those people who claim to just have hypothyroidism if it had not been for a great doctor who made me go see an endocrinologist where I was properly diagnosed with hashimoto’s. He also made sure I knew it was genetic and that my kids should be tested. Armed with that information, my daughter was empowered to make sure she had the right testing done when her tsh number was normal. She was quickly diagnosed with Hashimoto’s when they did the correct tests and is being treated based on how she is feeling along with her numbers. I will definitely be sharing this article with family members who are symptomatic but won’t listen to what I say. A few months after turning 40,I was diagnosed with Hashimoto`s.I have been on several variations of synthroid,levothyroxine,etc.The reason I mentioned the age was most doctors just dismissed my weight gains,insomnia,high strung nervousness as pre-menopause.My dosage has recently been lowered to 75 because of palpitations.but the weight will NOT come off! Diana- When it comes to weight gain these are a couple of things to think about. Dee- Thyroid tissue can regenerate, but the rate at which it does is not always predictable. Thus, some are able to stop the autoimmune attack on their thyroid and regain normal thyroid function. Others can reduce the dose of medications, and others will need to stay on the medications indefinitely. I’m currently working on some protocols to help with tissue regeneration. My thyroid is getting better, thank you Dr Wentz, you are so right, Drs will tell you differently, saying it is genetics, anything to tell us very dangerous, my so who is incarcerated, had his removed, with cancer on his thyroid,and it make’s me very sad, because I know there is a cure. Roberta- Here is some information you may find interesting. I was diagnosed with Hashimoto’s about 2 months before I had my thyroid removed. I was diagnosed with hypothyroidism 21years ago at age of 6. I had a wreck 1.5yrs ago and during scans nodules were discovered on my thyroid. That’s when I was referred to specialists(2). Then they suggested having my thyroid removed. I’m curious now if that was even necessary. I’m also a gastric bypass patient(2012). Sheridan- Most thyroid conditions result from the immune system attacking the thyroid because the immune system is out of balance. Even when the thyroid is taken out surgically, is ‘dead’, or treated with radioactive iodine the autoimmunity still persists in most cases. Many people will have their thyroids removed, and will develop new autoimmune disorders such as Lupus, Rheumatoid arthritis, etc. The immune system just finds a different target. We need to re-balance the immune system to prevent this (sometimes the autoimmunity can be reversed as well). The gut determines your immune system. With the exception of discussing proper thyroid medication dosing, the majority of my website and my book focuses on balancing the immune system. The info I present is based on my own research and journey for overcoming my autoimmune thyroid condition. Carey- When it comes to weight gain these are a couple of things to think about. Is it 1.200 of antiboidies anti-peroxidasa very high? I don’t know if I have Hashimoto’s. I don’t appear to have those symptyoms, but I have been diagnosed with hypothyroidism. My doctor put me on Armour, but I am having a lot of hair loss and I asked my doctor to do a Thyroid panel. He did all but the ultrasound. He says everything was normal, but the T3 Uptake was 27.5% and the normal range is 27.8 -40.7. I am upset and he dismisses it because it is close to the range. Doesn’t that tell me that I do not have active thyroid hormone? If that’s the case, why is my T4, Total 7.2, right in the middle of the range and TSH is 1.21, good level. All antibodies were less than 1 IU/mL. Not only am I afraid, I don’t know where to go and what else to do!!! I can’t imagine what would happen if I went off of the Armour. Should I be concerned with the T3 Uptake? Also, the doctor has me on Bioidentical hormones. I am 62, 115 lbs. and feel wonderful, but my hair is really going fast. PLEASE ADVISE. Are there any other tests I should be doing? Thanks and frustrated!! Joanna- Did you know that if you live in the United States, the UK, Australia, Europe and most developed countries that add iodine to the salt supply and take thyroid medications, there’s a higher probability that you do have Hashimoto’s? You might me anemic, have your ferritin levels checked and start taking evening primrose. Liz- Do you have Hashimoto’s or a thyroid condition? T3 is the aspect that effects your brain. Is Armour a generic? I have found that the generic are not really good to take as they have inconstant dosage. The medication that is for T3 is called Cytomel. you could always ask for a little of this and check your numbers again. have them check your Ferritin level. The range of normal is wide but if you are in the lower part of the range the Derm I work for suggests taking Ferrous Sulfate 325mg three times daily. I was told I had Hashimoto’s 18 years ago and have been on levothroid or synthroid since then. Recently my dr. upped my dose to 100 mcg (TSH was 5) and I suffered terrible arrhythmia, heart and back pain and heart pounding. We reduced it to .88… no relief… .75 no relief. So I went a few days without synthroid and felt so much better. Now TSH is at 85 but TPO Ab is 31, T3 1.7 and T4 .69. I don’t want to go back on synthroid and feel so lousy. Suggestions? Liz Ann- There are quite a few options for thyroid medications. In my experience, what works for one person may not work for another. If your doctor will not prescribe the medication you are looking for, ask your local pharmacist for doctors in your area who prescribe the medication you are looking to try. Have you read these articles? Find a good natureopath and ask for a natural compounded thyroid medication, sometimes it includes Armour thyroid. I was just recently diagnosed with hashimotos. I provided my dr with information how I kept tract of eating right and training which lead him to get the tests done. Also thyroid runs in my family. I’ve started levo thyroxin and it’s helped greatly. My mom had Graves’ disease and said the same thing about synthroid and has switched to the same as I have a few yes back and she said it’s been great for her. Lynda- Thank you so much for sharing! Graves and Hashimoto’s are both autoimmune conditions that affect the thyroid. They are thought to be closely related. Sometimes one turns into the other. The difference is the site of the antibody attack. In Hashimoto’s, the antibodies are found to thyroglobulin (in 80%) and thyroid peroxidase (TPO) enzyme (in 95% of people)-Hashimoto’s results in hypothyroidism and is usually treated with Synthroid and replacement hormone. Most thyroid conditions result from the immune system attacking the thyroid because the immune system is out of balance. Even when the thyroid is taken out surgically or treated with radioactive iodine the autoimmunity still persists in most cases. Many people will have their thyroids removed, and will develop new autoimmune disorders such as Lupus, Rheumatoid arthritis, etc. The immune system just finds a different target. We need to rebalance the immune system to prevent this (sometimes the autoimmunity can be reversed as well! The gut determines your immune system. With the exception of discussing proper thyroid medication dosing, the majority of my website and my book focuses on balancing the immune system. The info I present is based on my own research in journey for overcoming my autoimmune thyroid condition. How should I approach this switch without irritating another doctor who may not agree with my current treatment? Jennifer- I’m afraid I can’t comment on your lab results due to liability. I can tell you that while reference ranges of what’s “normal” may vary depending on the lab that produces the test reports, most thyroid patients feel best with a TSH between 0.5-2, and with Free T3 and Free T4 in the top half of the reference range. I strongly encourage you to keep looking until you find a skilled practitioner who can help you with Hashimoto’s, they are out there. Here is an article I wrote about my challenges finding Dr. Right. Karen- Did you know that if you live in the United States, the UK, Australia, Europe and most developed countries that add iodine to the salt supply and take thyroid medications, there’s a higher probability that you do have Hashimoto’s? But most doctors will never tell people that they have Hashimoto’s, or that their own immune system is attacking their thyroid. People are told that their “thyroid is sluggish”, and that these things happen with age and “Just take this pill, you’ll be fine.” When it comes to weight gain these are a couple of things to think about. I was diagnosed with hypothyroidism as an infant. I am 30 now and within the last year have developed sensitivity to dairy products. I also have endometriosis – which I have read is connected to hypothyroidism. Is it possible to develop hashimotos with a hypothyroidism diagnosis as an infant? What tests should I request? I would love to feel better again. I haven’t felt like ‘myself’ since the birth of my son 3 years ago. Would appreciate any advice you can give me. Thank you. Amber- Did you know that if you live in the United States, the UK, Australia, Europe and most developed countries that add iodine to the salt supply and take thyroid medications, there’s a higher probability that you do have Hashimoto’s? But most doctors will never tell people that they have Hashimoto’s, or that their own immune system is attacking their thyroid. People are told that their “thyroid is sluggish”, and that these things happen with age and “Just take this pill, you’ll be fine.” These are the recommended labs from my book, page 32. Have you read my book, Hashimoto’s The Root Cause? Here’s the link in case you’re interested. Deborah- I strongly encourage you to keep looking until you find a skilled practitioner who can help you with Hashimoto’s, they are out there. Here is an article I wrote about my challenges finding Dr. Right. I was diagnosed last December with a thyroid problem, a full range of tests came in including my TPO ab which was 13k!! And was told to take a pill and have a nice day. That no diet will ever help. The pill was great for 2 months then all of my symptoms came back, including intense fatigue and migraines. I saw a naturopath who addressed all my issues, changed my diet and I got my TPOab down to 600 (still high but better). Now I’m pregnant and thankfully to your book I demanded TSH tests early and realized at 5 weeks preg my levels went from 1.0 to 2.36. My endo adjusted my Meds but said there was no reason to check my antibodies. My naturopath insists I need to be careful with my diet, since I have an autoimmune condition. What do you recommend, being 12 weeks now and limited to the types of supplements I take. Should I still be getting the full range of tests? Vicky- Most thyroid conditions result from the immune system attacking the thyroid because the immune system is out of balance. Even when the thyroid is taken out surgically, is ‘dead’, or treated with radioactive iodine the autoimmunity still persists in most cases. Many people will have their thyroids removed, and will develop new autoimmune disorders such as Lupus, Rheumatoid arthritis, etc. The immune system just finds a different target. We need to re-balance the immune system to prevent this (sometimes the autoimmunity can be reversed as well). The gut determines your immune system. With the exception of discussing proper thyroid medication dosing, the majority of my website and my book focuses on balancing the immune system. The info I present is based on my own research and journey for overcoming my autoimmune thyroid condition. Liz- I’m afraid I can’t comment on your lab results due to liability. There are quite a few options for thyroid medications. In my experience, what works for one person may not work for another. If your doctor will not prescribe the medication you are looking for, ask your local pharmacist for doctors in your area who prescribe the medication you are looking to try. Have you read these articles? I have hypothyroidism and have been on Synthroid for 8 years I ran into the website stopthyroidmaddness.com and it has helped me ask for armour instead. I have pain in my right side of my neck just went and had MRI and also ultrasound done! The techs didn’t want to tell me what they found. But I did see her type bp on right side. I’m hoping they find whatever is causing me pain and fix it I feel so horrible. I get hot flashes and I’m only 38 years old. Tamara – There are quite a few options for thyroid medications. In my experience, what works for one person may not work for another. If your doctor will not prescribe the medication you are looking for, ask your local pharmacist for doctors in your area who prescribe the medication you are looking to try. Have you read these articles? Tamara, I too have hypothyroidism. I was on levothyroxine but had troubles with this & was switched to Armour at my request (after reading articles on this page & others like it) What I want to share with you is the fact that you are having hot flashes at 38. Dont let anyone tell you that you are too young to be starting the change. I was 38 when I had my first signs. I was told I was too young. Later I was having other issues which required tissue testing. The tests came back normal. But guess what.. they found changes in the tissue.. I was starting the change. I found great relief with Lachesis Mutus from Boiron. You can get it from health food stores or on line. and its affordable. I often wonder now that I am post menopausal if the hotflashes are menopausal or thyroid?? Hope this helps. Remember normal for one person may not be normal for another. Marcia- There are quite a few options for thyroid medications. In my experience, what works for one person may not work for another. If your doctor will not prescribe the medication you are looking for, ask your local pharmacist for doctors in your area who prescribe the medication you are looking to try. Have you read these articles? Amy- These are the recommended labs from my book, page 32. I am looking forward to following your FB page, and this article was really interesting. My daughter was diagnosed with Hypothyroidism as age 17, in mid November. I am working with our chirpractor on treating her thyroid through supplementation and we have def changed her (already healthy) diet to make sure she is eating thryroid boosting foods, and avoiding those that would inhibit thyroid function. We are getting ready to redo the lab work and are hoping for great results to show that she is finally in normal range. She has been doing cardio and some weight training. Just curious as to your thoughts based on her lab resutls as to whether or not we should look into the Hashimoto test. Thank you so much for your time and for caring. It is not taken lightly. Kim- I’m afraid I can’t comment on her lab results due to liability. I can tell you that while reference ranges of what’s “normal” may vary depending on the lab that produces the test reports, most thyroid patients feel best with a TSH between 0.5-2, and with Free T3 and Free T4 in the top half of the reference range. Most people will see a dramatic reduction in gut symptoms, brain symptoms, skin breakouts and pain by eliminating the foods they are sensitive to. Some will also see a significant reduction in thyroid antibodies! An additional subset of people, will actually be able to get their Hashimoto’s into complete remission just by getting off the foods they react to, normalizing their thyroid antibodies, and some even normalizing their thyroid function! Here are a couple of articles you may find helpful. I think someone, Amy, responded to my post, as I received an email notification, but I don’t see the response here, nor do I know how to respond to her via the email. Anyway I did not list T3 because it is not on my daughter’s lab work results. What I do see is TSH + T4F + T3FREE TSH is 5.310 But T3 is not listed separately. I was first diagnosed with Grave’s (hyper), received RAI treatment, and became hypo, and then diagnosed with Hashimoto’s. Is that possible? One is hyper and one is hypo, but I always thought I went hypo due to the RAI, even though they were hoping to only kill part of the thyroid. This was back in the early 90’s. My Dr. did the antibodies testing, even back then. I’m wondering, maybe I never really had Grave’s (nuc-med test confirmed), and it was always Hashimoto’s. 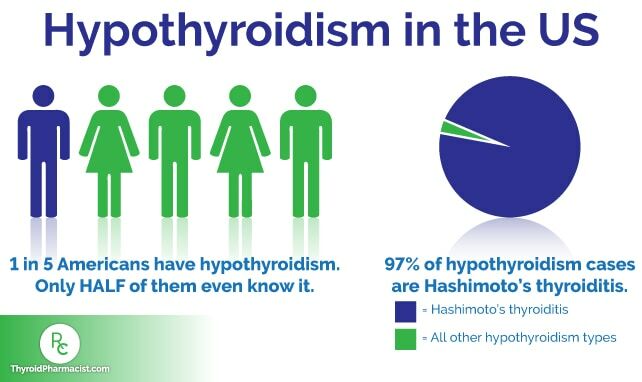 Can Hashimoto’s make you hyperthyroid too? Thank you in advance for your reply! Jami- Most thyroid conditions result from the immune system attacking the thyroid because the immune system is out of balance. Even when the thyroid is taken out surgically, is ‘dead’, or treated with radioactive iodine the autoimmunity still persists in most cases. Many people will have their thyroids removed, and will develop new autoimmune disorders such as Lupus, Rheumatoid arthritis, etc. The immune system just finds a different target. We need to re-balance the immune system to prevent this (sometimes the autoimmunity can be reversed as well). The gut determines your immune system. With the exception of discussing proper thyroid medication dosing, the majority of my website and my book focuses on balancing the immune system. The info I present is based on my own research and journey for overcoming my autoimmune thyroid condition. Hi Izabella, I was diagonosed hypothyroid at 25 but I realize I was probably undiagnosed since around 16 or 17. Finally an endo tested me and told me I have Hashimoto’s at the age of 46! Do you know of any PCP in the Chicago area that are on the same page as you? Every PCP and even endocrinologists don’t address the autoimmune issue just supplemental T4. I have been struggling for decades. It’s really outrageous how doctors view this disease. Maria- Most people will see a dramatic reduction in gut symptoms, brain symptoms, skin breakouts and pain by eliminating the foods they are sensitive to. Some will also see a significant reduction in thyroid antibodies! An additional subset of people, will actually be able to get their Hashimoto’s into complete remission just by getting off the foods they react to, normalizing their thyroid antibodies, and some even normalizing their thyroid function! Here are a couple of articles you may find helpful. I am on so many supplements.Doesn’t anyone’s one that has it all? The zinc and B’s, ashgawanda, etc? I feel like a pill popper.I was diagnosed in November past and I just ordered your book. I am gluten free as much as possible and stopped soy and most sugars. But I am worried because I always had low blood pressure and now it has climbed continually higher in the past couple months. I don’t want to go.on.more meds. I started hibiscus, omega 3 and 5http to try and reduce it as I feel all jittery and it helps. Any suggestions? The Armour brought my levels in range but antibodies went higher. This whole thing has me nuts. I never took pills. I don’t like drugs. I was always healthy and never smoked or anything. I was told my Thyroid was not working as it should I was told they checked my antibodies & I don’t have Hashimottos yet & if I went gluten free & dairy free for awhile it would probably keep me from getting it…Is this True? I am doing good going gluten free but not so good dairy free. Suppose to have blood work done again in two months. Laura- Most people will see a dramatic reduction in gut symptoms, brain symptoms, skin breakouts and pain by eliminating the foods they are sensitive to. Some will also see a significant reduction in thyroid antibodies! An additional subset of people, will actually be able to get their Hashimoto’s into complete remission just by getting off the foods they react to, normalizing their thyroid antibodies, and some even normalizing their thyroid function! Here are a couple of articles you may find helpful. At first diagnosis my TSH was .001. I was so tired. Endochronologist ordered radioactive iodine. Since then my throat feels very closed. I cannot sing any more. A few lines and my throat tightens and hurts. Is there a connection and what is the purpose of radioactive iodine? Carol- Most thyroid conditions result from the immune system attacking the thyroid because the immune system is out of balance. Even when the thyroid is taken out surgically, is ‘dead’, or treated with radioactive iodine the autoimmunity still persists in most cases. Many people will have their thyroids removed, and will develop new autoimmune disorders such as Lupus, Rheumatoid arthritis, etc. The immune system just finds a different target. We need to re-balance the immune system to prevent this (sometimes the autoimmunity can be reversed as well). The gut determines your immune system. With the exception of discussing proper thyroid medication dosing, the majority of my website and my book focuses on balancing the immune system. The info I present is based on my own research and journey for overcoming my autoimmune thyroid condition. I was diagnosed with Graves Disease in 2003. Had the ablation. I’ve been on synthroid ever since. Many times, my tsh has been too low, or too high. I’ve also been diagnosed with fibromyalgia. I never feel good, though my most recent blood work shows all my levels, tsh, t3, t4, etc, are in the normal range. My niece, who’s much younger than I also has Graves Disease, but it was controlled only with meds. She’s now been diagnosed with Hashimotos. My question is, is it possible for someone like me, who is hypo now because of the ablation, to actually have Hashimotos? Holly- Most thyroid conditions result from the immune system attacking the thyroid because the immune system is out of balance. Even when the thyroid is taken out surgically, is ‘dead’, or treated with radioactive iodine the autoimmunity still persists in most cases. Many people will have their thyroids removed, and will develop new autoimmune disorders such as Lupus, Rheumatoid arthritis, etc. The immune system just finds a different target. We need to re-balance the immune system to prevent this (sometimes the autoimmunity can be reversed as well). The gut determines your immune system. With the exception of discussing proper thyroid medication dosing, the majority of my website and my book focuses on balancing the immune system. The info I present is based on my own research and journey for overcoming my autoimmune thyroid condition. I was diagnosed with Hoshimotos 15 years ago. Of course I was tested for hypothyroidism and my levels were always “normal” even though I had brain fog, exhaustion etc. Dr after Dr just told me being a new mother (3rd child!) Was the reason for me feeling that way. I finally found a Dr. that listened to me and left no stone unturned. He ordered every lab test as well as ultrasounds and dye injections. He was convinced that even though nothing showed up I had Hoshimotos as well as the start of a tumor. We opted for exploratory surgery, and they in fact found I had a tumor on one side. It was removed. My question is as I was diagnosed with Hoshimotos but have had my thyroid removed, does that also destroy the autoimmune possibilities or can it manifest in different ways? They have gound it difficult to maintain a proper dosage of Synthroid as sometimes I have irradicate levels. Sharon- Most thyroid conditions result from the immune system attacking the thyroid because the immune system is out of balance. Even when the thyroid is taken out surgically, is ‘dead’, or treated with radioactive iodine the autoimmunity still persists in most cases. Many people will have their thyroids removed, and will develop new autoimmune disorders such as Lupus, Rheumatoid arthritis, etc. The immune system just finds a different target. We need to re-balance the immune system to prevent this (sometimes the autoimmunity can be reversed as well). The gut determines your immune system. With the exception of discussing proper thyroid medication dosing, the majority of my website and my book focuses on balancing the immune system. The info I present is based on my own research and journey for overcoming my autoimmune thyroid condition. The way I understand it is that once you have Hashimotos and have the thyroid removed you still have an autoimmune disease. It will show up in another form like rheumatoid arthritis, lupus, etc. Thats kind of scary to me – not sure what the future will hold. Susan- Most thyroid conditions result from the immune system attacking the thyroid because the immune system is out of balance. Even when the thyroid is taken out surgically, is ‘dead’, or treated with radioactive iodine the autoimmunity still persists in most cases. Many people will have their thyroids removed, and will develop new autoimmune disorders such as Lupus, Rheumatoid arthritis, etc. The immune system just finds a different target. We need to re-balance the immune system to prevent this (sometimes the autoimmunity can be reversed as well). The gut determines your immune system. With the exception of discussing proper thyroid medication dosing, the majority of my website and my book focuses on balancing the immune system. The info I present is based on my own research and journey for overcoming my autoimmune thyroid condition. OK I have had my thyroid removed when it came back I had hypothyroidism / hashimottos but I had graves disease symptoms! With two parathyroid glands embedded inside of my thyroid surgery took about 7 hrs my concern now it was done in 2008 my levels are still up and down constantly. I am on 175 mcg right now but I am experiencing hair loss always cold! What else could I do? I have been looking for relief cause I have restless leg syndrome and my joints on my left side hurt also since I have had thus problem I have migraines never had them before! Any advice would be appreciated! Angela- Most thyroid conditions result from the immune system attacking the thyroid because the immune system is out of balance. Even when the thyroid is taken out surgically, is ‘dead’, or treated with radioactive iodine the autoimmunity still persists in most cases. Many people will have their thyroids removed, and will develop new autoimmune disorders such as Lupus, Rheumatoid arthritis, etc. The immune system just finds a different target. We need to re-balance the immune system to prevent this (sometimes the autoimmunity can be reversed as well). The gut determines your immune system. With the exception of discussing proper thyroid medication dosing, the majority of my website and my book focuses on balancing the immune system. The info I present is based on my own research and journey for overcoming my autoimmune thyroid condition. Pam- Graves and Hashimoto’s are both autoimmune conditions that affect the thyroid. They are thought to be closely related. Sometimes one turns into the other. The difference is the site of the antibody attack. In Hashimoto’s, the antibodies are found to thyroglobulin (in 80%) and thyroid peroxidase (TPO) enzyme (in 95% of people)-Hashimoto’s results in hypothyroidism and is usually treated with Synthroid and replacement hormone. Tanya- There are quite a few options for thyroid medications. In my experience, what works for one person may not work for another. If your doctor will not prescribe the medication you are looking for, ask your local pharmacist for doctors in your area who prescribe the medication you are looking to try. Have you read these articles? I assumed because I am hypothryoid that I had Hashi’s but when I found out there is a specific test to find out I had it done and it turned out negative for Hashi’s. I guess that I’m plain old hypothryoid of unknown origin. Carrie- These are the recommended labs from my book, page 32. I was diagnosed with fibromyalgia in my late thirties. Was taking about 6 different medicines. Then I moved and went to different doctors. A nurse practitioner at my OBGYN asked me if my thyroid had ever been tested. Sure enough I had hypothyroidism. I take 100 MCG of levothyroxn. I am going to ask about Hashimotos next doctor visit because of stomach issues I believe I may have that. Do you think that fibromyalgia could be misdiagnosed in people who really have thyroid issues? Kathy- I personally struggled with pain in the form of body aches and stiffness as well as carpal tunnel in both arms in 2010, when I was first diagnosed with Hashimoto’s. It was awful, I had to wear braces on both arms all day and even at night for about 6 months. I took NSAIDs every day to deal with the pain so I could get through my workday. I hope these articles help you get started. Yes I truly believe that could be the case. I was having trouble sleeping and my doctor told me to skip my thyroid meds, maybe take them 3 days a week. Well I did and after 6-8weeks I started getting real sick. Too much to talk about but it was absolutely horrible. My TSH was so high and I asked her if there was a possibility of skipping my meds and all of this horrible stuff I was going through. She denied that it was related and diagnosed me with fms. I refused to believe it and it took about 6 months to begin to feel like I used to. Went to a rheumatologist and he ruled out fms due to no pressure points. I did not tell him I was hypothyroid. He asked me if I had ever been tested for thyroid problems and thats when I told him. I got the answer I needed right then. Lesson learned dont skip your thyroid medication. Karen- There are quite a few options for thyroid medications. In my experience, what works for one person may not work for another. If your doctor will not prescribe the medication you are looking for, ask your local pharmacist for doctors in your area who prescribe the medication you are looking to try. Have you read these articles? Back in 1980 I was treated for hyperthyroidism and graves disease with medication. I was only 13 at the time. In 1994 a year after the birth of my second child I was diagnosed with hypothyroidism and in 1995 was diagnosed with fibromyalgia. Now i wonder could my diagnoses of fibro be wrong? Diane- Graves and Hashimoto’s are both autoimmune conditions that affect the thyroid. They are thought to be closely related. Sometimes one turns into the other. The difference is the site of the antibody attack. In Hashimoto’s, the antibodies are found to thyroglobulin (in 80%) and thyroid peroxidase (TPO) enzyme (in 95% of people)-Hashimoto’s results in hypothyroidism and is usually treated with Synthroid and replacement hormone. Beth- There are quite a few options for thyroid medications. In my experience, what works for one person may not work for another. If your doctor will not prescribe the medication you are looking for, ask your local pharmacist for doctors in your area who prescribe the medication you are looking to try. Have you read these articles? I take Synthroid because I was told I have an enlarged gland. The meds are supposed to keep it from growing larger. Make sense? Johnette- There are quite a few options for thyroid medications. In my experience, what works for one person may not work for another. If your doctor will not prescribe the medication you are looking for, ask your local pharmacist for doctors in your area who prescribe the medication you are looking to try. Have you read these articles? Here’s one for you. I had an ultrasound of my thyroid last year and 4 nodules were found. Less than a month later was a thyroid scan. Those 4 nodules were 2 on the left and 2 on the right, 2 were hot and 2 were cold. All of my thryroid levels are “normal” on the lower end of normal and the antibodies were negative. I am told I have chronic thyroiditis. I have gained over 20 pounds in the past 1.5 years. I am athletic, I run and get at least 30 minutes of cardio along with weights daily. I do yoga and stretch as well. I eat a balanced diet containing mostly fruits and vegetables with an appropriate amount of protein as well. I rarely drink alcohol, I don’t smoke. I drink probably 64 ounces of water daily. My skin is dry and my hair falls out easily. My cortisol levels hardly change all day. They were 8.3 in the am and 6.8 late afternoon. Endo says it’s my diet which I don’t agree. I am an RN and know more that what he thinks I do, but none of this makes sense to me. Any advice? Renee- When it comes to weight gain these are a couple of things to think about. An addendum, all 3 of my aunts on my dad’s side have thyroid disorders ad well as my maternal and paternal grandmothers. My paternal grandfather had it as well….family history play big into all this? Debbie- These are the recommended labs from my book, page 32.
recently I have developed a recurring rash on my neck directly in front of my thyroid. It is itchy and dry. Is this a concern? hello. I requested a thyroid antibody test last year and it came back at over 3000 but my doctor says it’s nothing. Am I at higher risk of Hashemites? Amanda- Most people will see a dramatic reduction in gut symptoms, brain symptoms, skin breakouts and pain by eliminating the foods they are sensitive to. Some will also see a significant reduction in thyroid antibodies! An additional subset of people, will actually be able to get their Hashimoto’s into complete remission just by getting off the foods they react to, normalizing their thyroid antibodies, and some even normalizing their thyroid function! Here are a couple of articles you may find helpful. I’m wondering…..I have been tested for antibodies 3 different times over the last 2 years and it always comes up with a number that is in the “normal” range 10 to 20. I also had an ultrasound on my Thyroid and no nodules were detected. Therefore I have felt that I don’t have Hashimotos. Yet I have had low thyroid function for many years. What do you do if you have low thryroid function (low Free T3 and Free T4) but no sign of Hashimotos? I have had a slightly elevated TSH number for years also. and very low R T3. I had a 24 hour iodine loading urine test to check my iodine level and was low. So I’ve been taking selenium and seaweed for the iodine thinking the selenium will protect for too much iodine and the iodine itself might be what my thryoid needs. I’m really wanting to know what the root cause is for my Hypothyroidism. Most everything is geared towards Hashimotos. I do have life long gut dysbiosis and am working on that through diet. But so far the Thyroid numbers have not improved….even with Naturethroid. Anyone have any ideas as to next steps? Angela- I’m very hesitant in recommending iodine in Hashimoto’s. Although iodine serves as fuel for our thyroid and is very important in iodine deficiency hypothyroidism, Hashimoto’s is a different mechanism. It’s like pouring gas into an engine that’s on fire… that’s essentially what’s happening in Hashi’s, thyroid inflammation, and adding iodine to the mix before putting out the fire and fixing the engine may result in further damage to the thyroid. In those with a predisposition to autoimmunity, this has been documented time and time again, animal and human studies. I have spent 4 years researching this and have seen too many people suffering the consequences of adding iodine too soon. My approach is, let’s fix the engine first (usually a gut issue), and then add the fuel once we know that the engine is no longer on fire. Hope that you will check out my book. I have a whole chapter on the iodine controversy that references numerous studies as well as the work of Abraham and Brownstein. Hello you mentioned you believe in functional doctors are there any you can recommend in the Ann Arbor or Canton Michigan area? I have had Hashimotos for 20 years and I have been wanting to see a functional doctor but I don’t no anyone that can recommend one. Julie- Most people will see a dramatic reduction in gut symptoms, brain symptoms, skin breakouts and pain by eliminating the foods they are sensitive to. Some will also see a significant reduction in thyroid antibodies! An additional subset of people, will actually be able to get their Hashimoto’s into complete remission just by getting off the foods they react to, normalizing their thyroid antibodies, and some even normalizing their thyroid function! Here are a couple of articles you may find helpful. All of your information sounds so intriguing but how do you find a doctor who won’t just give you the standard line? I went to a specialist who allegedly was willing to do more than write a script for Levoxyl. However, she, like every other doctor I have seen in the last 10 yeard, wrote a script for Levoxyl and sent me in my way. Waste of time and money. Please enlighten me as to the reason that the conventional medical community, including endocrinologists, are so totally clueless when it comes to dealing with, diagnosing, treating, testing, etc.,etc., those w hypothyroidism and probably hoshimoto’s.Mine is a serious question, not just hypothetical. I have a daughter now almost 26, who has Hashimoto’s, finally diagnosed at age 9, yet she only received some treatment, although still inadequate, when she was 22. We have been to multiple endos over the years. Please understand, this is not a hypothetical question. FYI: I have been a nurse for 38 years. I was diagnosed with Hashimoto several years ago. Doctor wasn’t concerned. Specialist wasn’t concerned either since my TSH levels were within normal range. I should have changed doctors then, but didn’t. Is there a diet you can follow that will cure Hashimoto’s disease or do you have to take medication? TMsAngel- Most people will see a dramatic reduction in gut symptoms, brain symptoms, skin breakouts and pain by eliminating the foods they are sensitive to. Some will also see a significant reduction in thyroid antibodies! An additional subset of people, will actually be able to get their Hashimoto’s into complete remission just by getting off the foods they react to, normalizing their thyroid antibodies, and some even normalizing their thyroid function! Here are a couple of articles you may find helpful. I was diagnose in June 2013 with diabetes. After 57 pills a week and 3 shots of insulin a day it went away in Sept., 2014. Then I was diagnosed with hypothroidism. I have been taking meds for that since. I am so confused. The doctor says I am still borderline diabetic but my blood sugar fasting is 88-97. Can these two be related? Should I be checked for hoshimoto?? Elizabeth- I’ve negotiated better pricing with Direct labs for the Facebook group Hashimoto’s 411. You will get them here cheaper than going through most other places. If you would like to order your own labs, you can use the link below. After my Thyroidectomy how do I treat Hashimoto’s? Is checking my antibodies important? Sandra-Most thyroid conditions result from the immune system attacking the thyroid because the immune system is out of balance. Even when the thyroid is taken out surgically, is ‘dead’, or treated with radioactive iodine the autoimmunity still persists in most cases. Many people will have their thyroids removed, and will develop new autoimmune disorders such as Lupus, Rheumatoid arthritis, etc. The immune system just finds a different target. We need to re-balance the immune system to prevent this (sometimes the autoimmunity can be reversed as well). The gut determines your immune system. With the exception of discussing proper thyroid medication dosing, the majority of my website and my book focuses on balancing the immune system. The info I present is based on my own research and journey for overcoming my autoimmune thyroid condition. Donna, my doctor said the same thing. That there is no reason to test the antibodies again. I pushed for the test again to see if the changes in my life had any impact on the number (gluten free, supplements, etc.) so she tested one more time but won’t test again. Frustrating. Amy- I strongly encourage you to keep looking until you find a skilled practitioner who can help you with Hashimoto’s, they are out there. Here is an article I wrote about my challenges finding Dr. Right. Hi Jennifer, I’m near Ann Arbor and would be interested in more info about the Dr. Does she just treat thyroid/Hashi’s? Does she treat with alternate meds such as Cytomel and Armor? Thanks in advance! Hi April my name is Rebecca I also was diagnosed 15yrs ago with hyperthyroidism. I did the radiation iodine then went hypothyroid. Since then I have been on levy thyroxine. For about 6mos now I have been feeling like I am going crazy. Anxious anxiety heart palpitations. And almost seizure activity I think. My weight has been a roller coaster my body aches all the time. I have considered suicide sometimes because I can’t find a dr to help me. I have been off my meds now for 2wks went back to the Dr to refill my meds and asked him to do the extra test but refuses. …I cry for help but no one hears me. Rebecca- Most thyroid conditions result from the immune system attacking the thyroid because the immune system is out of balance. Even when the thyroid is taken out surgically, is ‘dead’, or treated with radioactive iodine the autoimmunity still persists in most cases. Many people will have their thyroids removed, and will develop new autoimmune disorders such as Lupus, Rheumatoid arthritis, etc. The immune system just finds a different target. We need to re-balance the immune system to prevent this (sometimes the autoimmunity can be reversed as well). The gut determines your immune system. With the exception of discussing proper thyroid medication dosing, the majority of my website and my book focuses on balancing the immune system. The info I present is based on my own research and journey for overcoming my autoimmune thyroid condition. This is for Rebecca. Look at the link to where you can find a lab that will do the tests without the doctor ordering them. Like someone else said you pay the doctors therefore they are the employees – not gods. My Endo told me that I don’t need to deal with Hashimotoes since my thyroid has been removed!! Sandra- Most thyroid conditions result from the immune system attacking the thyroid because the immune system is out of balance. Even when the thyroid is taken out surgically, is ‘dead’, or treated with radioactive iodine the autoimmunity still persists in most cases. Many people will have their thyroids removed, and will develop new autoimmune disorders such as Lupus, Rheumatoid arthritis, etc. The immune system just finds a different target. We need to re-balance the immune system to prevent this (sometimes the autoimmunity can be reversed as well). The gut determines your immune system. With the exception of discussing proper thyroid medication dosing, the majority of my website and my book focuses on balancing the immune system. The info I present is based on my own research and journey for overcoming my autoimmune thyroid condition. Hi Isabella, I have been reading many of your blogs, since being diagnosed with Hashimoto’s hyperthyroidism 3 years ago. In Australia, there is a class action against a soy company which was found administering 50 times above the legal limit of seaweed iodine in their soy milk. It is believed to have affect several hundred people, me included. Thank you for your research, information and supportive advice. Gill- I’m very hesitant in recommending iodine in Hashimoto’s. Although iodine serves as fuel for our thyroid and is very important in iodine deficiency hypothyroidism, Hashimoto’s is a different mechanism. It’s like pouring gas into an engine that’s on fire… that’s essentially what’s happening in Hashi’s, thyroid inflammation, and adding iodine to the mix before putting out the fire and fixing the engine may result in further damage to the thyroid. In those with a predisposition to autoimmunity, this has been documented time and time again, animal and human studies. I have spent 4 years researching this and have seen too many people suffering the consequences of adding iodine too soon. My approach is, let’s fix the engine first (usually a gut issue), and then add the fuel once we know that the engine is no longer on fire. Hope that you will check out my book. I have a whole chapter on the iodine controversy that references numerous studies as well as the work of Abraham and Brownstein. Angelina- These are the recommended labs from my book, page 32.
and how would you treat auto immune hashimotos ? Star – please, understand that due to liability issues, I am unable to answer specific medical questions. I found out I had chronic thyroiditis a year ago. At that time my “Thyroglobulin Autoantibody” was 204.6. It is now up to 911.6. The blood test shows that a normal range is 0.0 – 60.0 u/ml. What does this mean? Yvette- I’m afraid I can’t comment on your lab results due to liability. I highly recommend that you work with a functional medicine clinician. It’s a whole medical specialty dedicated to finding and treating underlying causes and prevention of serious chronic disease rather than disease symptoms. How often should someone with Hashimoto be tested to check levels? I was diagnosed a couple of years ago but nothing has been done about it. The TSH levels were normal and antibodies weren’t too high, 75 I think.For my annual physical this year she didn’t even order any bloodwork so I am looking for a new doctor in Michigan. Jill- Testing TSH, Free T3 and Free T4 will help determine if you will need to have your dosage of medication adjusted. Testing TPO antibodies every 1-3 months may be helpful in determining progress from interventions. These are the recommended labs from my book, page 32. Help with lab results please. Went to a new doctor for multiple symptoms including weight gain, fatigue, foggy brain, cold sensitivity, and many others. I’m a 44 year old female. She ran a TSH which came back at 2.78 (range .5 to 4.8-). I asked for further testing as research is showing anything over 2.5 is “at risk”. She refused to do further testing as TSH is “normal”. Other labs were fine with exception of Vitamin D and B12, both of which are extremely low. Fast forward a few days and I’ve ordered my own labs for FT4, FT3, TgAB, TPO. Results came in today but not exactly sure what they mean. TgAB: <1 (< or = 1) TPO: 1 (<9) Any help would be appreciated. I have been started on 50,000 iu of Vitamin D weekly and B12 injections weekly. I have had hypothyroid for about 11 years now recently started the gym and eating right but not losing weight just gaining it in my stomach! I have all the symptoms of hashimotos! I was just diagnosed with hashimotos! How do you have both issues? I have to now waiting 3 months to see a specialist! I’m scared and not sure what to think. Desiree- When it comes to weight gain these are a couple of things to think about. Other than ultrasound is there a way to confirm Hashimoto’s with antibodies in range? TSH typically between 3.5 and 4.5, once at 5.5. Free T3/4 low in range. David- Most thyroid patients feel best with a TSH between 0.5-2, and with Free T3 and Free T4 in the top half of the reference range. Thanks so much for the information! I was one of those people who thought they hypothyroidism, but not Hashimoto’s — and it turns out I have both. One question – do you have links to any research that estimates that 95% of hypothyroid patients also have Hashi’s? I have come across skeptical doctors who I would like to pass along the research too. Thank you! my doctors did not test me for hashimoto’s and I have had rai. will I still be able to test for hashimoto’s now? Suzy – please, understand that due to liability issues, I am unable to answer specific medical questions. I love the thyroid secret, thank you for putting this together. Two months ago I had a TSH of 9.00 Free t4 Free T3 reverse T3 all normal. No antibodies, tested twice for this. Ultrasound showed no evidence of Hashimotos, so does this mean I simply have hypothyroidism and not Hashimotos? I have had thyroid trouble since I was about 19, I am now 35. I take 125 mcg Synthroid now and TSH is in 4’s. I do have a functional medicine practitioner and an endocrinologist but I’m still confused. Thank you. Jen – thank you so much for following this page. Did you know that if you live in the United States, the UK, Australia, Europe and most developed countries that add iodine to the salt supply and take thyroid medications, there’s a higher probability that you do have Hashimoto’s? What about people who have low thyroid hormones but do not test positive for Hashimotos? I have had the 6 tests you recommend (repeatedly over the last 5 years), but never have antibodies above the very low digits and my ultrasound came out negative. So I don’t seem to fit the 98% with Hashimotos. What do those of us do who have low thyroid hormones but do not have Hashimotos? How do I find out the root cause of my low Thyroid function? Should we ask for other tests? If yes, which do you recommend? Do you advise a different protocol for those of us who apparently do not have the root cause of autoimmune disease? Thank you for your time and wonderful heart full contributions! Angela – thank you so much for following this page. I tested my thyroid for the first time few years ago (I’m now 44), had no symptoms, just decided it was time to include it in my yearly check-up. My TSH came back 3.9 (normal range for the specific lab was up to 4.2), T4 was 17.3 (normal range 11-22). The borderline TSH did not bother my Dr too much, but I was worried so he recommended the antibody test which came back elevated. I had no obvious nodules, but still need to perform a thyroid ultrasound… A year later my TSH was a bit lower (2.6) and T4 was around 16. My lipid profiles have always been normal (total cholesterol around 200, HDL 73, triglycerides 45), as well as all other routine lab tests. I was not given any treatment as at the moment as I feel that I have no symptoms, but I was told by the Dr that one day I will definitely develop hypothyroidism (my mother was diagnosed with hypothyroidism at 65) and will need to take the pill for life. This is terrifying for me, as I have never taken any medicine other than a few paracetamol tablets and maybe a little antibiotic in my childhood and I was lucky enough to be able to eat everything without weight gain and no need to sweat in the gym! I fear that this diagnosis will seriously alter my quality of life, so I would like to know if there is anything I can do to prevent or at least postpone hypothyroidism symptoms. Thanks! LK – thank you for following this page. Please, understand that due to liability issues, I am unable to answer specific medical questions. I am on this diagnostic journey right now. Going for my antibodies labs tomorrow, which I ordered myself after my doc said TSH and freeT4 were normal (TSH 2.05 Free t4 1.05). But I know something is off. My WBC was high also (14.9). Just sick and tired of feeling foggy and tired all the time! Have always been a healthy and active person. Thank God for awesome sites and information from people like you! I am going to pick up your new book today. I think Hashimoto’s is what I have. My mom and aunt are both hypo. Hoping to do all I can myself to find root cause and fix what I can if I am unable to get a physician’s help! I strongly encourage you to keep looking until you find a skilled practitioner who can help you with Hashimoto’s, they are out there. Here is an article I wrote about my challenges finding Dr. Right. Women who have CVID are very likely to get subacute thyroiditis and later, Hashimotos. We don’t make antibodies but suffer the same symptoms. I keep mine under control by balancing selenium with iodine. Muriel – thank you for following this page and for sharing. I’m very hesitant in recommending iodine in Hashimoto’s. Although iodine serves as fuel for our thyroid and is very important in iodine deficiency hypothyroidism, Hashimoto’s is a different mechanism. It’s like pouring gas into an engine that’s on fire… that’s essentially what’s happening in Hashi’s, thyroid inflammation, and adding iodine to the mix before putting out the fire and fixing the engine may result in further damage to the thyroid. In those with a predisposition to autoimmunity, this has been documented time and time again, animal and human studies. I have spent 4 years researching this and have seen too many people suffering the consequences of adding iodine too soon. My approach is, let’s fix the engine first (usually a gut issue), and then add the fuel once we know that the engine is no longer on fire. Hope that you will check out my book. I have an entire chapter on the iodine controversy that references numerous studies as well as the work of Abraham and Brownstein. I was diagnosed with subclinical hypothyroid with a TSH of 2.2. (previous years it was in the 1.3 range) My Free T3 and T4 are ok and My TPO and TA are also in ok ranges. My DHEA levels though are high, I was at a 526 last year but this year it jumped to a 830. I really want to try and change my body and life with my diet rather then taking a pill that is not natural. I would really appreciate any tips and advice you have for me. I have fought for years to figure this out and I am a little worried that I still don’t know the issue. I follow you Izabelle and Aviva Romm, I have done tons of research but I know I don’t know it all and I really would like your info. Thank you for all you have done and how you are changing the world. its wierd b/c my symptoms come and go, but fatigue, cold when others aren’t, pain in my joints is huge, acne (which I never even had as a teen), heavy periods with clots lasting 7-10 days and my cycle was never like this before my last pregnancy. If I’m already taking Levothyroxine, can I still be tested for hashimotos? Will the test be accurate? Brandy – thank you for following this page. Did you know that if you live in the United States, Australia, Europe and most developed countries that add iodine to the salt supply and take thyroid medications, there’s a higher probability that you do have Hashimoto’s? But most doctors will never tell people that they have Hashimoto’s, or that their own immune system is attacking their thyroid. People are told that their “thyroid is sluggish,” and that these things happen with age and “Just take this pill, you’ll be fine.” I hope you check out these articles that I wrote. Here are the tests you need for diagnosis. Most endocrinologists don’t run them all, so you will have to request them. Make sure to request a copy of your labs as well. I have hypothyroidism but my antibody levels are in the low-normal range, and I do not have hashimoto’s. Is there a different protocol to treating non-hashimoto’s hypothyroidism? It’s frustrating to see that there is very little information online about non-hashimoto’s hypothyroidism and how to take care of it. Note: I think it may have occurred after having played soccer for 14 years, and having the ball hit my neck multiple times throughout my history of playing. Oh, and one more question – I’m on synthroid and have read a side-effect of this specific medication can cause progressive hair loss, which has definitely been the case for me. Is there another medication you would recommend that would not have this side-effect? Thank you so much for sharing your knowledge and helping all of us out there! Julia – thank you for following this page. If you live in the United States, the UK, Australia, Europe and most developed countries that add iodine to the salt supply and take thyroid medications, there’s a high probability that you do have Hashimoto’s. Depending on the source, estimates are that between 90-95% of those with hypothyroidism have Hashimoto’s.But most doctors will never tell people that they have Hashimoto’s, or that their immune system is attacking their thyroid. People are told that their “thyroid is sluggish,” and that these things happen with age and “Just take this pill, you’ll be fine.” A large percentage of the population is simply going undiagnosed. I’d like to pass along these articles that I wrote. Trish – thank you so much for following this page. There are quite a few options for thyroid medications. In my experience, what works for one person may not work for another. If your doctor will not prescribe the medication which you are looking for, ask your local pharmacist for doctors in your area who prescribe the medication you are looking to try. Also, If you have been prescribed thyroid replacement hormone but your thyroid levels are still not optimal and your doctor is convinced that Synthroid® (which is a T4 only hormone replacement) is the only replacement that you should try, remember, information is power! In order to self-advocate, it’s important to understand the ins and outs of thyroid medications. There are many reasons why your thyroid levels might not be optimal and my Optimizing Thyroid Medications eBook will give you those answers as well as give you a full explanation of the different options that are available to you! I want you to be empowered, so I’m giving this eBook away as a FREE download this week! Download it for FREE Optimizing Thyroid Medications eBook! This book will help you understand your thyroid lab results and how to optimize your thyroid hormones!! Hello~I was diagnosed with hypothyroidism when I was 20 years old. I am now 45. For the longest time I was on 200 mcg of thyroid hormone replacement. I am now on 150mcg. I was never told that I have Hashimoto’s, but I am starting to wonder. I have only been tested for TSH and T4 most recently, and those results were “normal”. My question is–if I want to get the thyroid panel done to see if I do indeed have Hashimoto’s disease–will I need to go off of my levothyroxin for 2 weeks to get an accurate reading? I once saw an endocrinologist and they recommended something like that, but I never followed through at the time. Thanks for any guidance you can provide. Amy – thank you for reaching out. If you are taking a T4 only medication, you can go ahead and take your medication in the morning before the test. T4 medication has a long half-life, and your levels will be stable regardless of when you take it. If you take a T3 medication on the other hand, or a combination of T3/T4, T3 has a shorter half-life so your blood work may not be reflected accurately. It will appear that you have more thyroid hormone on board than you do. Thus it may be helpful to delay your morning dose of a T3/T4 medication until after you do the test to see (try to schedule the test in the morning). Here are some articles you might find helpful. Hey thank you for your article, I’ve been diagnosed with hypothyroidism 6 or 7 years ago, I’m 26 now and I’ve never been tested or even told about hashimoto’s or the type hypothyroidism I have. I’ve looked up some symptoms I’ve been experiencing lately and I have many symptoms relating to hyperthyroidism which seemed strange until reading what you wrote concerning the thyroid antibodies in hashimoto’s. Also I’ve been getting chronic infections (severe) and just really sick I’m wondering if I might have an autoimmune disease (or more than one.) thanks again! Ashley – thank you for reaching out. Graves and Hashimoto’s are both autoimmune conditions that affect the thyroid. They are thought to be closely related. Sometimes one turns into the other. The difference is the site of the antibody attack. In Hashimoto’s, the antibodies are found to thyroglobulin (in 80%) and thyroid peroxidase (TPO) enzyme (in 95% of people)-Hashimoto’s results in hypothyroidism and is usually treated with Synthroid and replacement hormone. Thanks for all of your information! I was diagnosed with hypothyroidism first and then Hashimoto’s after having my first child. My first TPO test was 351. I was put on medication (synthroid) and then 4 months later, my TPO was down to 75. That was in 2012. In 2014, my TPO was down to 11. In 2016 it was down to an 8. I asked my endo to test it again for me and he won’t do it again because he says it doesn’t matter since I already have been diagnosed with Hashi’s. So my question is, do I still have Hashimoto’s if my TPO are below the range? I still take Synthroid at 112mcg. Thank you for your time. Erin – – Thank you for following this page. Everyone’s healing journey is different and some may take longer than others. It took me 3 years to get to remission. One of the main markers of Hashimoto’s is reducing antibodies. IgG subclass antibodies have a half-life of 21 days, and stick around on immune cells for about two to three months. They need constant “reminders” in the form of an antigen so that their production continues. If the antigen is removed, the antibodies will go away as well. The time period required for them to completely forget about the antigen and disappear is nine to twelve months. In the case of autoimmune conditions, traditional and alternative medicine practitioners may focus on rebalancing the immune system (i.e. steroids and immune-modulating drugs used in traditional medicine; herbs, supplements, or acupuncture used in alternative medicine). While this approach may be helpful for taming the immune system in the short term or overcoming autoimmune flares, it is often a temporary solution and the immune system may become imbalanced again once the medications, acupuncture, and herbs and supplements are stopped if the underlying issue that lead to the immune system imbalance is not addressed. Thus we can say that immune modulation treats only the symptoms, and not the root cause. Rebalancing the immune system by addressing the root cause of autoimmunity (intestinal permeability, gut dysbiosis, infections) may take one to three years, but in the meantime, we can modulate the immune system and throw our thyroid antibodies a decoy. I was diagnosed with Hypothyroidism almost 4 yrs ago, finally was just told when I asked that it is Hasimotos. I’ve been on levothyroxine the whole time with about 7 dosage changes over the years because my levels won’t even out and through all of this time I have not felt any better even one day. I deal with lightheaded/dizziness everyday to the point where I almost feel like I will pass out but both my PCP and my Endo don’t seem to think it has anything to do with my thyroid although many other tests have been done to no results. Could it be my thyroid causing this issue? Please help …My most recent blood test came back with high TSH of 4.31 ml U/L And very high TGAB of 166 IU/ml.. My TPEX/TO is high/normal range of 32 IU/mL. My T4 is 85nmol/L and FREE T4 is 14.20 pmo and FREE T3 is 4.40 pmol/L..What do these results mean Is it just hypothyroidism or Hashimotos or Graves disease And should I take iodine with selenium OR only take selenium? You might also find these articles helpful as well. Hi there, so I’ve got to share my story and ask your opinion after reading all of this. I was first diagnosed with hypothyroidism my freshman year of high school, after a year and a half of my doctor not being able to explain why I always felt “sick” but couldn’t say what felt bad ( because I was just tired/sluggish/depressed/and was gaining weight). From that point forward and switching between doctors as I changed locations, I was taking levothyroxine off and on as my thyroid function fluctuated to where I needed the supplement or not, according to whichever doctor I saw at the time. Today I am 23 years old with a 2 1/2 year old. Fast forward to me having a medical emergancy about a year an a half ago after not taking the supplement for about two years, I found that my tsh was slightly elevated again. I started taking the supplement again but when tested again, my thyroid function was actually worse than before so I was sent to an endocrinologist. She is not the warmest person in the world so I’ve never questioned anything she said, however after all of this, I have never been tested for Hashimoto’s. What is the likelihood that I am dealing with that as well? My T4 was in normal range and my tsh is now as well, but it took a dosage change of my normal 25mg to 100mg this time. Any insight would be much appreciated, I don’t have great insurance so my dr options are extremely limited and I don’t know how to talk to this dr about this being a possibility because I feel like she will just shoot me down. Laurel – thank you so much for sharing your journey with me. <3 I am so sorry you are struggling with this. I understand how frustrating it can be. This is why I highly recommend that you work with a functional medicine clinician to be a part of your own health care team. It’s an entire medical specialty dedicated to finding and treating underlying root causes and prevent serious chronic disease rather than treating individual disease symptoms. I believe that everyone needs to find a practitioner that will let him/her be a part of the healthcare team. You want someone that can guide you, that will also listen to you and your concerns. You want someone that’s open to thinking outside of the box and who understands that you may not fit in with the standard of care. It's a good idea to ask some standard questions when contacting a new doctor for the first time. Something else to consider is you can work with a functional doctor remotely, via Skype. You could also contact your local pharmacist or compounding pharmacy, who may be able to point you to a local doctor who has a natural functional approach. But I encourage you to keep looking for the right one for you! Here are some resources you might find helpful. I am just learning about Hashimoto’s (as in like 5 minutes ago). I’ve been diagnosed with hypo and have been on medication since I was 12 or 13. I’m 37 now. I have blood work every 6 months or so to check thyroid levels, but they are likely the most mainstream tests. What would I specifically ask my PCP to order? And would that change my treatment? I was wondering if I should ask for any additional testing? I was just diagnosed with hypothyroidism and told they tested for autoimmune causes and that they were all negative including hashimotos. My Primary was surprised my TSH was elevated since I’ve been having intermittent fevers and intermittent tachacardyia cardiologist is looking into. I’m also only 34.